I stopped trying to write in my early twenties. It was always at the back of mind that I should be writing. So the years and the decades passed and finally I got to a point where I had no excuses left. I live and work in the County of Somerset, in the UK. 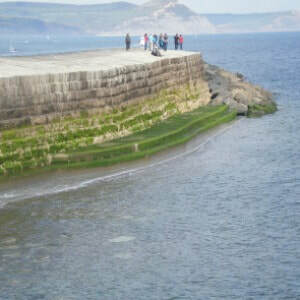 That's a photograph of the cob in Lyme Regis, Dorset.